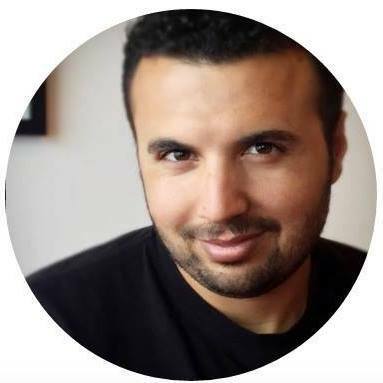 Azzam Talhami is a Palestinian journalist, activist and peace builder who is passionate about bridging gaps between disparate peoples. He has served as an on-camera political analyst, news correspondent, documentary filmmaker, print journalist, translator, and war zone photographer for Palestinian, Israeli, Russian, and American media outlets. These include being a translator and Middle East journalist consultant for The Volunteers on DirecTV/ Audience Network, produced by Ricky Schroder Productions, and writing and reporting for Huffington Post Arabic, Al Rabia FM, Alam Radio, Hebron Radio, Mekomit (+972 Local Conversation), Ma’an News Agency, and RT TV. Azzam has been instrumental in bringing Palestinians and Israelis to speak and listen to one another, from closed circle meetings to large scale programs with Holy Land Trust, Northwest Compassionate Communication, and the Center for Nonviolent Communication’s (CNVC) International Intensive Training (ITT) in the Palestinian Territories. Peace organizers have utilized his expertise in an array of projects, including the Interfaith Passover Seder on an ecological farm in the Dead Sea region. In 2015, Azzam was invited to interpret and lead the Palestinian team at NVC Family Camp on Vashon Island, Washington State, U.S. There, he served as a cultural bridge, translating even the participants’ most painful personal stories between English, Arabic and Hebrew and working closely with Israelis and Palestinians. Throughout the U.S., he has spoken with leaders of faith-based groups regarding how to talk about the conflict, and was an invited speaker at the Middle East Peace Camp for Children. A native Arabic speaker and expert in classic Arabic language, Azzam is also fluent in Hebrew and English. He has taught Hebrew at Hebron University and created the Hebrew Diploma program at the University’s Al-Estklal Professional Training Center. Azzam founded the Atlas Center for Media and Translation Studies, a learning extension school of Hebron University. He has been a guest journalist for Bay Area Nonviolent Communication, presenting a more compassionate approach to media that can reduce hatred and incitement inside conflicting communities. As a means of self-expression, Azzam pours his heart and soul into writing poetry. One of his particularly compelling pieces, What Does Living Under the Occupation Mean? gained attention from peace activists around the world and was translated into English and Hebrew. He dreams that Israelis and Palestinians – and all people – will one day live together, forever, in peace. Raised in an intellectual and loving family by his father, a prolific nonfiction author and his mother, an esteemed Arabic teacher, Azzam graduated with a B.A. in Journalism and Hebrew Translation from Hebron University in Palestine.